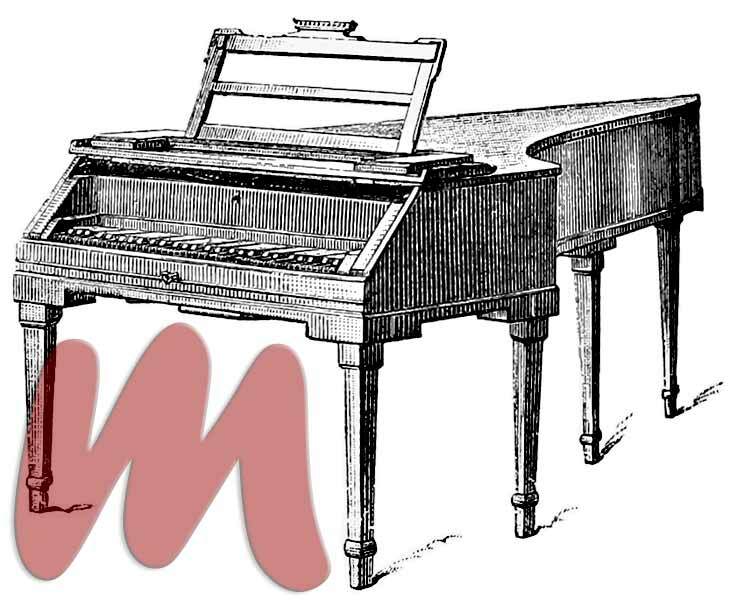 Mozarts Pianoforte, "his Concert Grand in the Mozarteum at Salzburg […] is a small 5-octave instrument, with black natural keys and white sharps, made by Anton Walter, who became in the end Mozart's favourite maker, as Schanz was Haydn's." Abb. aus [Grove 1880].